Using the most functional and appropriate garage door opener is beneficial in ways more than one. They offer convenience, durability, and exceptional functionality. As a result, homeowners here in Houston are increasingly opting for these devices for their garage doors. For perfect functionality, you must install garage door openers only of the topmost quality. It is possible to purchase the craftsman garage door opener at most retail outlets here in Sugar Land TX. These garage door openers are a surefire cost-effective solution for your garage door. With help of reliable installers, such as Garage Door Alliance, you can be up and running with a new installation in a matter of just one day. You can also carry these openers easily in your car, thanks to its lightweight packaging and design. While planning for purchasing garage door openers, look for high functionality along with safe operation. A craftsman garage door opener will offer you both. The support rails of this particular brand are available in multiple pieces. They ensure proper balance of your garage doors, thus reducing chances of accidents, and bring about a smoother operation. By using these garage door openers you achieve complete safety for you and your family. 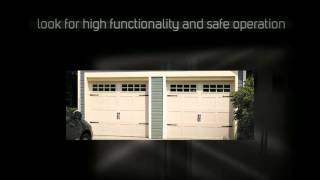 Another benefit of using craftsman garage door opener is their zero noise performance. With advanced belt drives manufactured with reinforced steel, the garage openers of this brand are capable of offering smooth and quiet performance for years to come. If your garage happens to be in or around a living area; then this will be the brand to invest in.